Everyone has diarrhea from time to time, while some people suffer more frequently1. To be prepared for diarrhea when it strikes, it’s a good idea to keep IMODIUM® products handy. Why suffer when you can treat diarrhea and get on with your day? 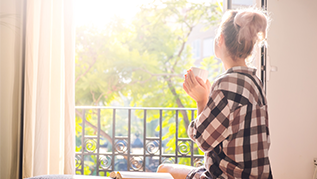 IMODIUM® products contain an active ingredient called Loperamide, which works to help restore your lower digestive system’s natural rhythm3 so you can start to feel like yourself again. We know a thing or two about diarrhea – its causes, its symptoms and how to treat it. 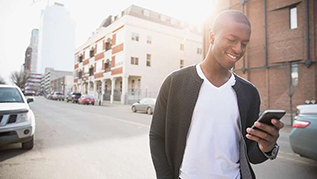 Find out the answers to some commonly asked questions. The sooner you can treat your diarrhea symptoms, the sooner you can begin to feel like yourself again. 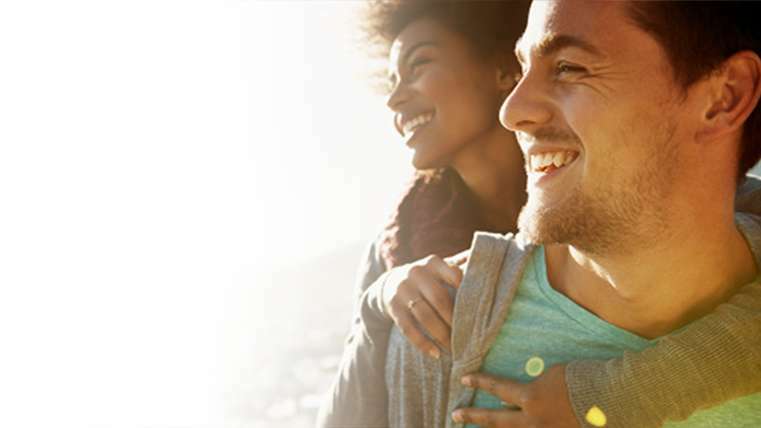 IMODIUM® products contain an active ingredient called Loperamide, which works to help restore your lower digestive system’s natural rhythm in order to treat diarrhea. IMODIUM® LIQUI-GELS® provide you with the fast, soothing relief of a liquid to settle things down and restore your feeling of harmony. IMODIUM® Complete is the first and only anti-diarrheal solution with a unique, dual-action formula designed to effectively relieve diarrhea PLUS painful cramps, gas, and bloating. 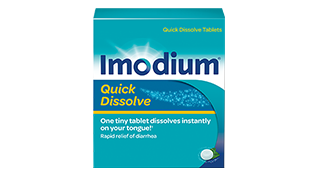 IMODIUM® Quick Dissolve tablets dissolve instantly on your tongue for fast, effective relief of diarrhea. Diarrhea. 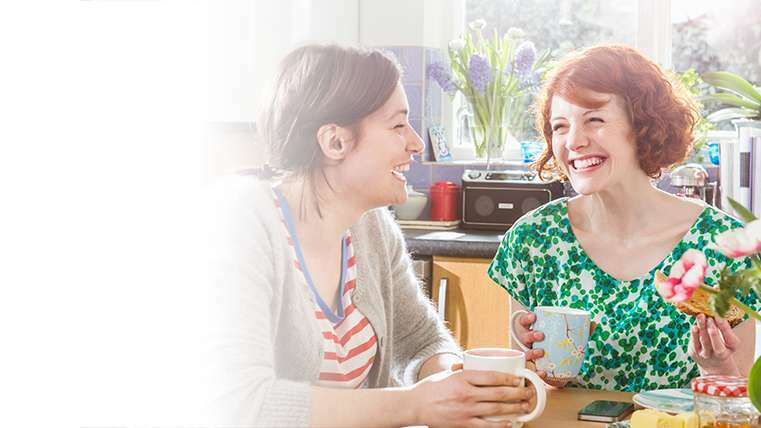 National Institute of Diabetes and Digestive and Kidney Diseases Web site. http://www.niddk.nih.gov/health-information/health-topics/digestive-dise.... NIH publication 11-2749. January 2011. Updated November 25, 2013. Accessed November 11, 2015. Nutrition strategies for managing diarrhea. International Foundation for Functional Gastrointestinal Disorders Web site. http://www.iffgd.org/site/gi-disorders/functional-gi-disorders/diarrhea/.... March 31, 2014. Accessed November 11, 2015. Schiller LR, Santa Ana CA, Morawski SG, Fordtran JS. Mechanism of the antidiarrheal effect of loperamide. 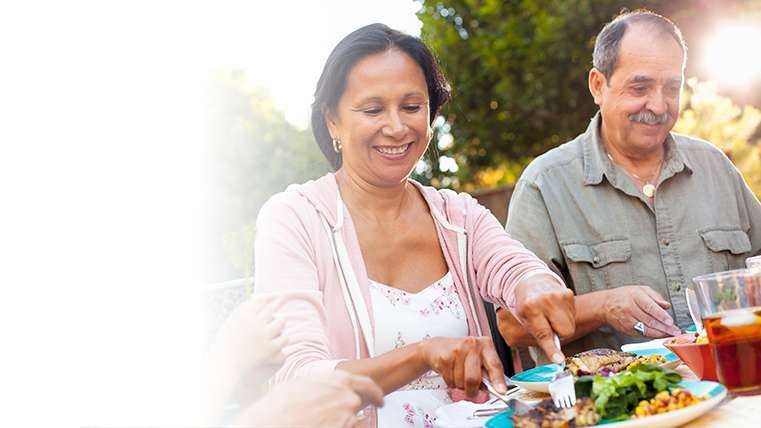 http://www.gastrojournal.org/article/S0016-5085(84)80161-4/pdf. Gastroenterology. 1984;86(6):1475-1480. 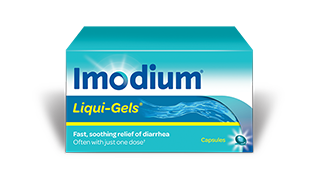 IMODIUM® LIQUI-GEL® Capsules, IMODIUM® Quick Dissolve Tablets, and IMODIUM® Calming Liquid contain loperamide to relieve diarrhea. 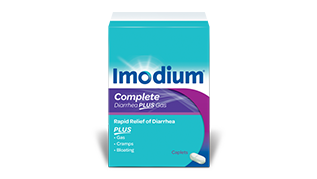 IMODIUM® Complete Caplets contain loperamide and simethicone which relieve diarrhea PLUS gas, cramps and bloating. Always read the label. © Johnson & Johnson Inc. 2007-2017 This site is published by McNeil Consumer Healthcare, division of Johnson & Johnson Inc. which is solely responsible for its content. This site is intended for visitors from Canada only.